With version 15, the FileMaker platform gets better, and it was pretty good already. But in terms of features, FileMaker 15 is an evolutionary rather than revolutionary release. Many existing users may not feel the need to rush to upgrade, and both new and current users may find the new licensing options a bit confusing. 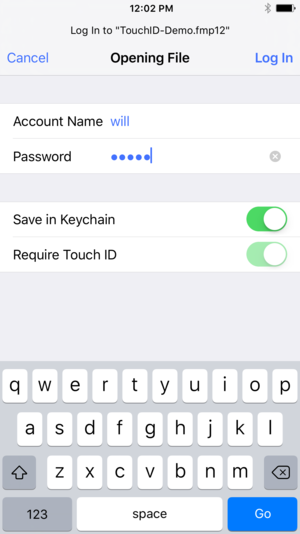 FileMaker Go 15 allows you to save your login to the iOS Keychain, so next time you can get in using Touch ID instead of having to type your name and password. FileMaker Go (free on the iTunes Store) allows iPhone and iPad users to access and run FileMaker custom apps. Go only lets you use the app to access and manipulate its data; you can’t create a custom app in Go. Want to build a relational database from scratch on your iPhone? Check out Airtable. The difference between Airtable and FileMaker is instructive. 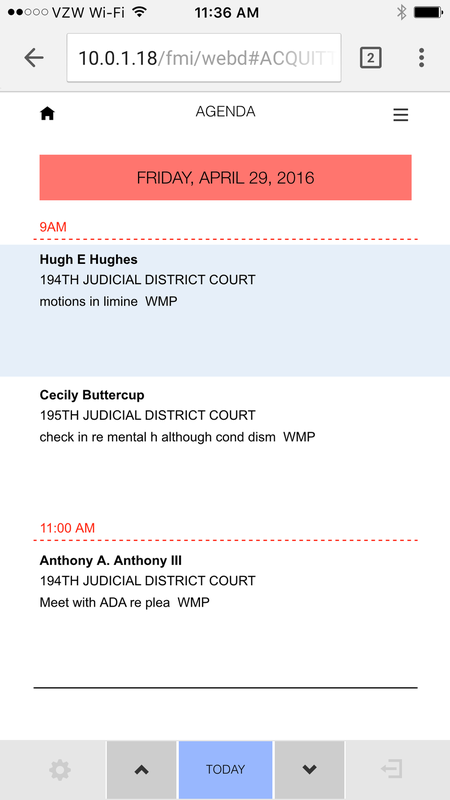 Airtable is all about managing your data, and at that it does a brilliant job. By contrast, these days, FileMaker isn’t just a data-management tool; in fact, for a growing number of FileMaker developers who are using SQL back ends, FileMaker isn’t about managing the data at all. 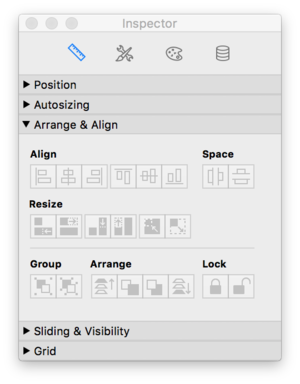 What really sets FileMaker apart is its strong toolset for creating rich user interfaces, or, in a word, apps. FileMaker custom apps built for iOS are now even “appier.” With the iPhone 6s or later, Go 15 supports 3D Touch. On the iPhone 5s and later, you can now log into apps in FileMaker Go using Touch ID. As with other apps supporting Touch ID (such as a bank app), once you authenticate the old-fashioned way and permit iOS to store your credentials in Keychain, subsequent logins can be done via Touch ID, which is definitely easier and arguably more secure than typing a weak password on your iPhone. FileMaker Go 15 also supports app extensions that will make interaction with many other apps on your iOS device easier. FileMaker Go 15’s other novelty is support for iBeacons. A FileMaker 15 database can be designed to capture iBeacon signals from one or more beacons within a defined distance from the iPhone; the beacon location data can then be analyzed so users can be told what they’re close to. I confess that I had never heard of iBeacons before, but despite being late to this party, I found it quite easy to set up a FileMaker Pro custom app to capture an iBeacon signal and convert it into useful info. If you’re using FileMaker technology, say, to manage inventory in a large warehouse, you may want to take advantage of this right away. And in six months or a year, you may find museums and public gardens using FileMaker databases capturing iBeacon signals to provide guided tours. Look, ma, no installation! A FileMaker 15 custom app for attorneys, accessed in Google Chrome on an iPhone 6 Plus. Works equally well in Chrome 48 on Android devices. A few versions ago FileMaker introduced WebDirect, a technology that allows users to access FileMaker databases in a web browser. Until now, WebDirect worked only on your desktop computer. And since FileMaker Go works only in iOS, that meant that there was no way to access a FileMaker database from an Android device. Well, on a smartphone or tablet running the latest version of either iOS or Android, you can now access a properly hosted FileMaker database without having to install FileMaker Go or anything else. Just open the database’s web location in the latest versions of Safari or Chrome and you’re in. Making FileMaker apps available to Android users in Chrome is the most exciting thing about the FileMaker 15 release. Mobile browser support is available in iOS, too, but remember, FileMaker Go for iOS is a free download and provides a better experience. The old lodestar of the FileMaker firmament, FileMaker Pro, seems to be fading in brightness a bit, as more attention is directed to Go and WebDirect. But apps run in Go or your browser still need to be built in Pro, or better, Pro Advanced, and the old programs do get a few tweaks that will matter only to developers: undo finally works in the script editor (yay! ); layout inspectors have gotten a cosmetic refresh; etc. And of course, FileMaker Pro and FileMaker Pro Advanced 15 provide necessary developer support for new features in Go like iBeacons, as well as providing the tools needed to optimize your apps or deployment in Go and/or WebDirect. The one thing existing users of FileMaker might appreciate is the fact that the platform’s file format (.fmp12) has not changed. Of course that just means you can easily open a FileMaker 12, 13 or 14 database in FileMaker Pro 15. It doesn’t mean you can go the other direction. In other words, to take advantage of new features in FileMaker 15, you’ll need to use FileMaker 15. 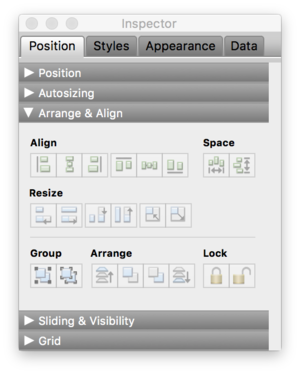 The layout inspectors in FileMaker Pro Advanced 15 (top) and 14 (below). FileMaker Pro still supports peer-to-peer sharing for a handful of other FileMaker licenses on the same LAN, but hosting your files in FileMaker is incomparably better in every way. Not only can your files be accessed by significantly more users when hosted by FileMaker Server, they will also be more secure, access will be faster, backups will be easier, various processing tasks can be performed by Server, and finally, FileMaker Server is necessary if you wish to access your files remotely in FileMaker Go or WebDirect. Using a FileMaker database without Server to host it is like living in Dallas without a car: You can have a pretty good time, but you won’t be going anywhere. Like FileMaker Pro and Pro Advanced, FileMaker Server in version 15 gets few headlines and such improvements as it does get will be important mainly to developers and network admins: better logging, improved handling of SSL certificates, and a couple of performance enhancements. On a less technical note, it looks like FileMaker Server is about to become the most important element of any FileMaker installation, not just because it serves databases to remote users, but also because it takes on an expanded role as the controller of FileMaker licensing. At least for now, you’ll still be able to buy individual, perpetual licenses for FileMaker Pro and Server, priced at US$329 for Pro, US$549 for Pro Advanced, and US$1044 for Server. Volume discounts with annual subscription pricing are also available and buying in volume can bring the price per user per month of using FileMaker Pro down to US$10 (not including Server) or even lower if you purchase larger bundles of licenses. These are described on FileMaker’s website as “legacy licensing” options. But FileMaker 15 is introducing a new licensing model called “FileMaker for Teams.” Basic cost per year is about the same as legacy volume discount subscriptions if you don’t need access via Go or WebDirect, and somewhat cheaper if you do. With FileMaker for Teams you’re licensing “user connections” rather than people (i.e., users) or apps on devices (i.e., connections), and the licensing will be handled not in the apps but in FileMaker Server. 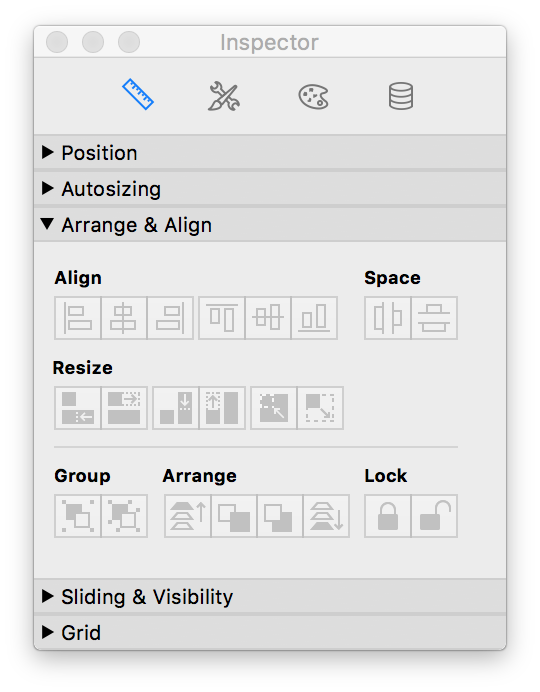 So FileMaker for Teams comes with a somewhat new flavor of FileMaker Pro styled “FileMaker (for User Connections).” Yes, it’s awkward but it at least it’s unlikely to contribute to acronym pollution. The functionality of FileMaker (for User Connections) is identical to that of the plain old FileMaker Pro, except that FileMaker (for User Connections) is activated only while it’s logged into Server. I am pretty sure FileMaker Incorporated regards this approach as simpler and in some ways it is. With the bad old approach, you had to calculate the average and maximum number of connections Server would be hit with at any one time during a typical day. With FileMaker for Teams, you just ask yourself how many users you have and you’re done. (Wouldn’t it be great if your cellular service provider simply asked you how many phone numbers you need?) The FileMaker for Teams licensing model also more closely resembles the models used in the larger corporate database world, and in that respect, it may make TCO and ROI comparisons easier for decision makers. Nevertheless, there’s going to be some pain involved in this transition. It’s unclear how legacy licensees will transition to FileMaker for Teams. Also unclear is how this will impact one of FileMaker’s core markets, namely, very small offices with fewer than five users and especially those who may have outsourced the hosting of their databases to one of the several excellent FileMaker hosting services available on the Internet. FileMaker 15 release will matter more to some groups of users than to others. If you’re a single user or a very small office just looking to manage your data, you might not need FileMaker at all: Airtable might be a better fit. If you’ve been using FileMaker Pro 14 (or earlier) with old-fashioned perpetual licenses and if you’re happy with what you have now, then the case for upgrading to 15 is not compelling. I’d recommend especially that small-office users currently hosting files through a service like FileMaker Hosting Pros or Point in Space delay upgrading until all the implications of the new licensing terms for FileMaker Server become clear. But if you’re already on a subscription plan with FileMaker, and especially if you wish to take advantage of the improvements on mobile devices, I urge you to take advantage of your option to upgrade without delay.